Munster Blades Fencing Club is delighted to announce a new fencing club – in Leinster! The after school club will open in January and will meet on Mondays from 3.30pm to 5pm at Dunamase College in Portlaoise. The school is founder member of the Irish Interschool Fencing Programme and had provided an introductory course to all first years since the school opened in 2017. 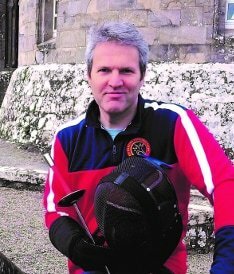 “We are delighted to be providing lessons at Dunamase College and look forward to continuing the development of fencers at the school” remarked coach Patrick Dight. Parents at the school are invited to enrole their children by contacting Patrick. See our Contact page. Next Next post: Transition Year Fencers on Ireland AM!